Merry Jetsmas everyone! 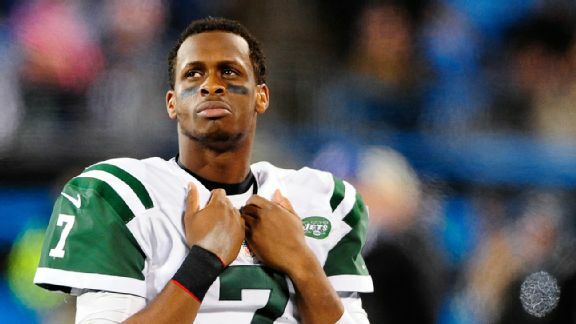 In case you missed the news earlier today Geno Smith, quarterback of the New York Jets, got into a fight with his teammate that ended with a punch to the face and a broken jaw. Smith, who never really has ever panned out as a pro quarterback, will now miss 6-10 weeks. Since the season is coming quicker than that the Jets will be forced to play Ryan Fitzpatrick at QB for a few weeks at least. On a football aspect, who cares? The Jets are the Jets, they weren’t going to beat the Dolphins, Bills, and Patriots with a healthy Geno all season. They need more help anyway, and Smith is far, far away from a valuable NFL QB. On a hilarity level this is damn near unparalleled. Look, I’m not one for the regular media circus around the Jets, especially since Rex Ryan left the team. However there is something appealing about how they can seem to find a new way to find failure. You’re telling me that a starting quarterback got punched out by his teammate and broke his jaw? You don’t even have to tell me it’s the Jets and I know it’s the Jets. If this were Mark Sanchez this would have broken ESPN. Don’t get me wrong the teammate, Ikemefuna “I.K.” Enemkpali, was rightly cut from the team earlier today. But for giving us such an incredible story while we begin to build up the new NFL season? Put this man in the Hall of Fame.